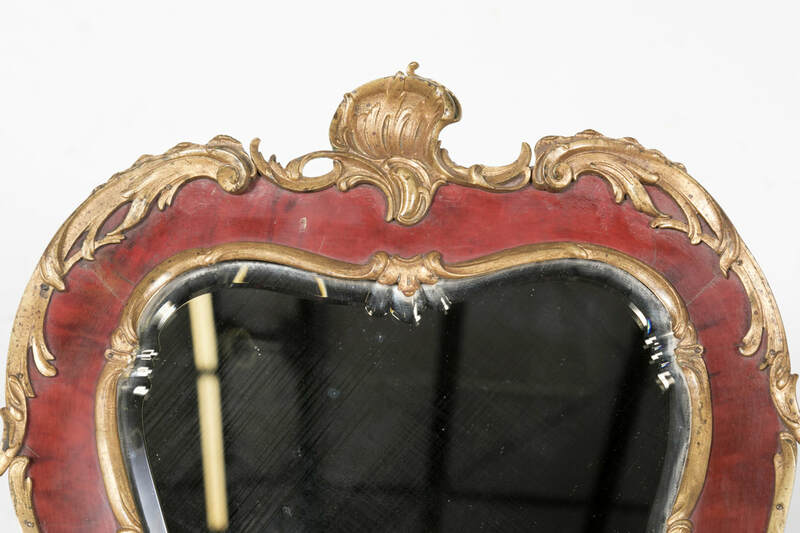 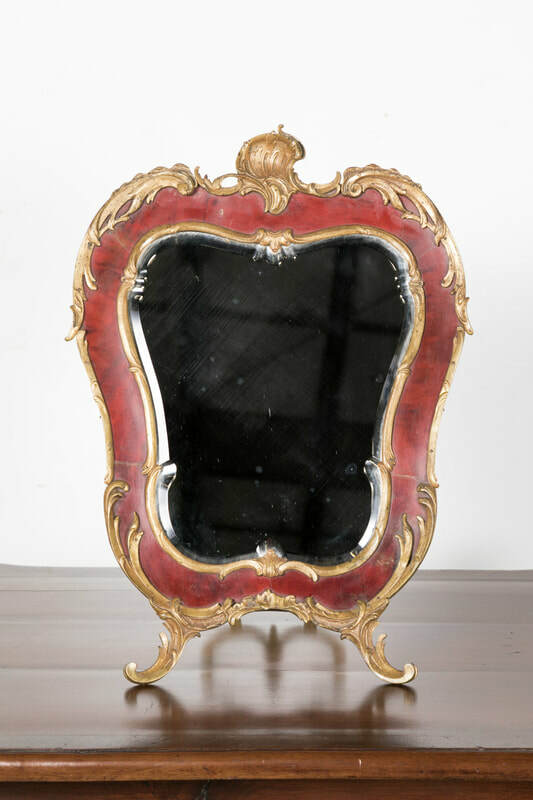 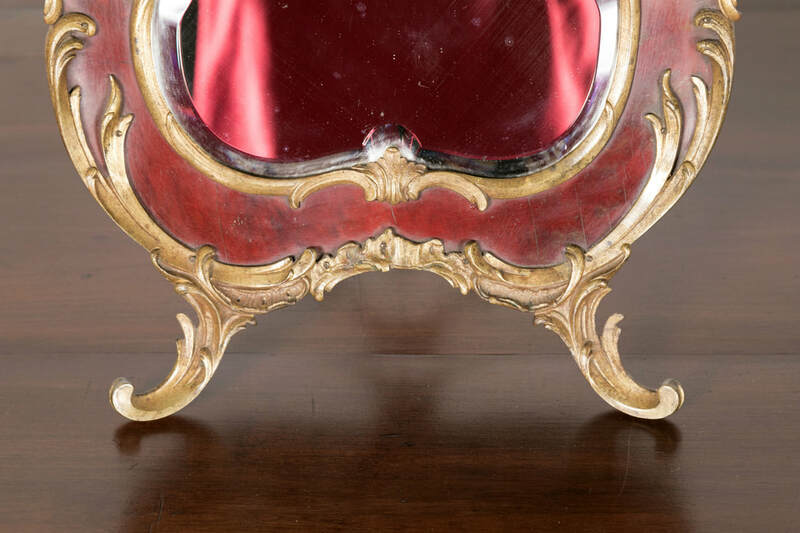 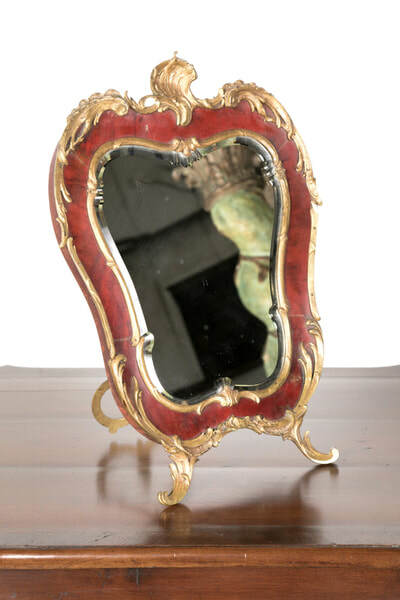 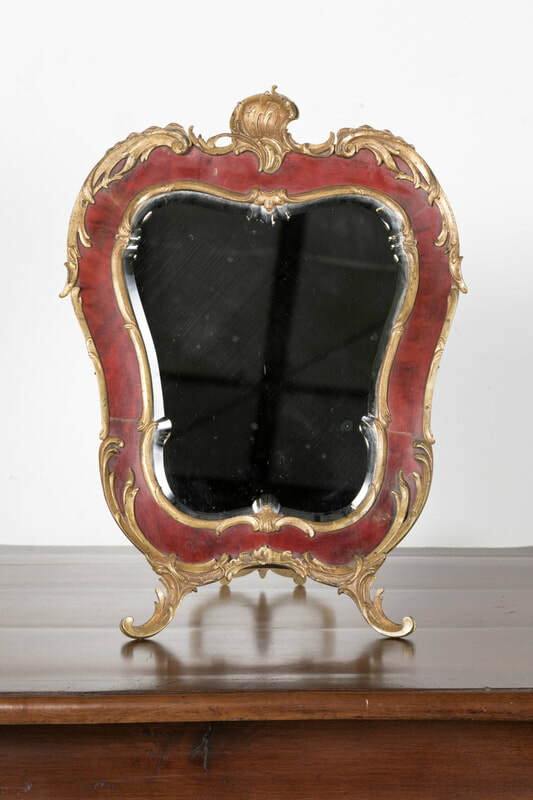 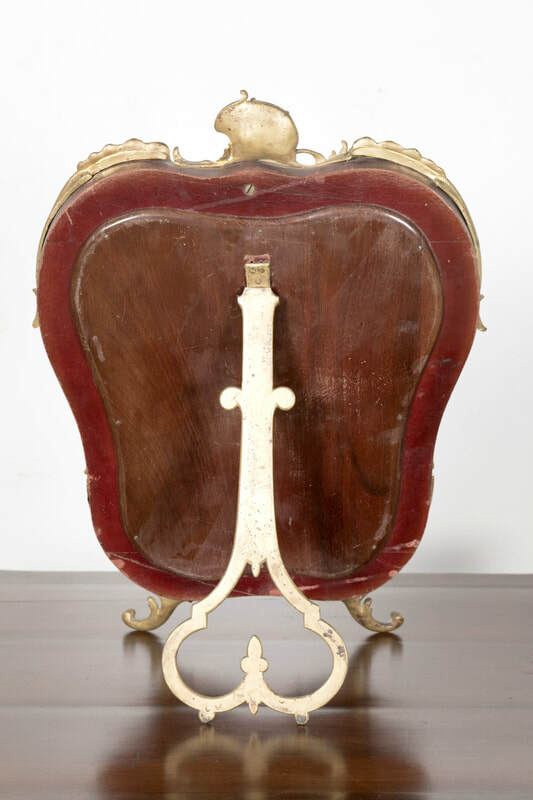 Stunning 19th century French Rococo style red tortoise shell and gilt bronze footed vanity mirror with easel back having the original beveled glass. 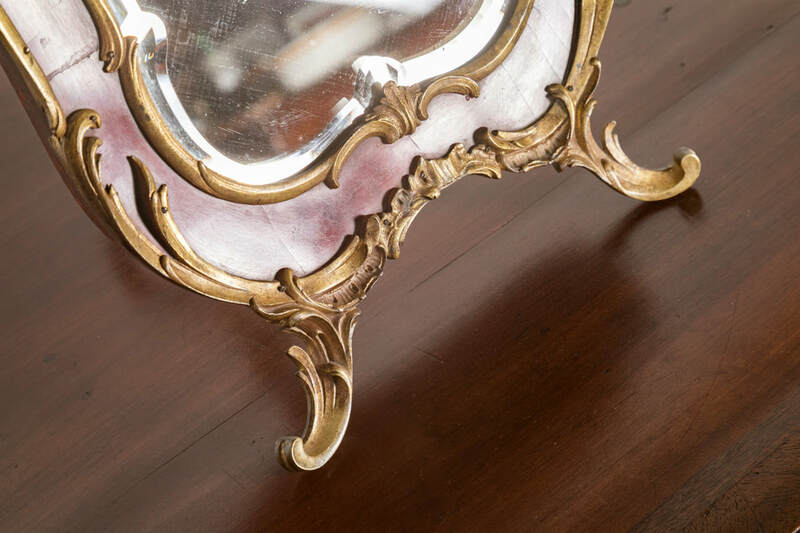 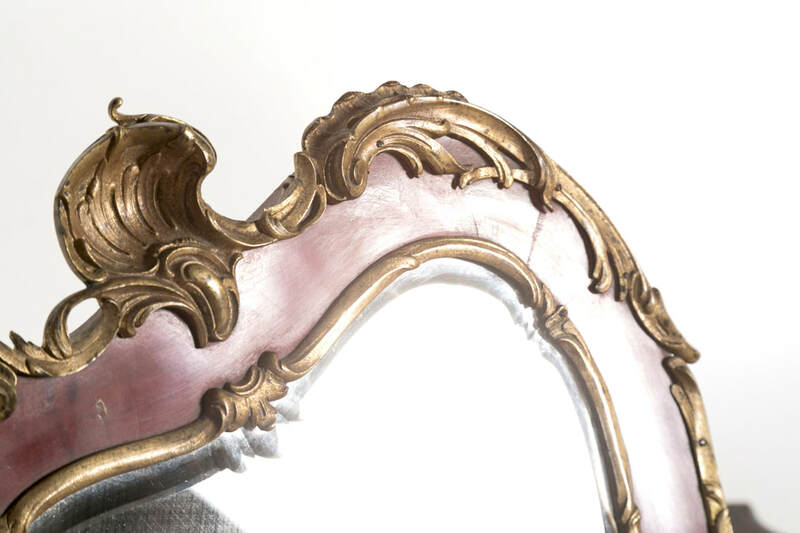 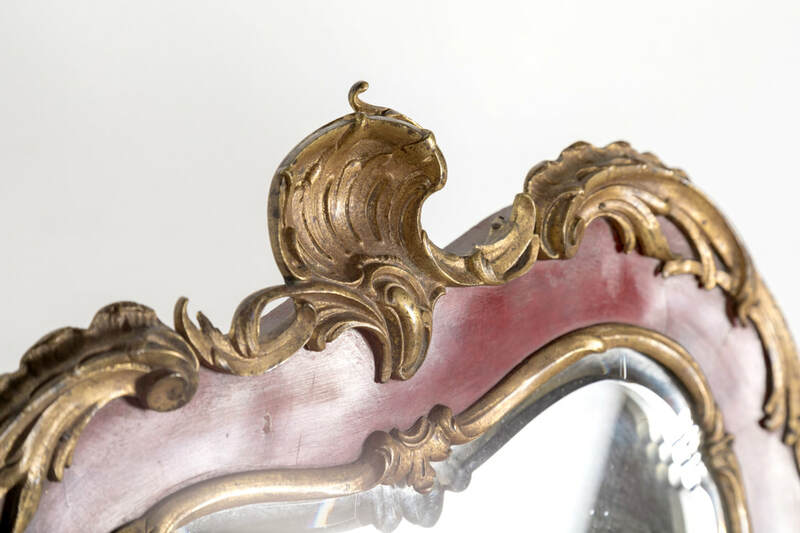 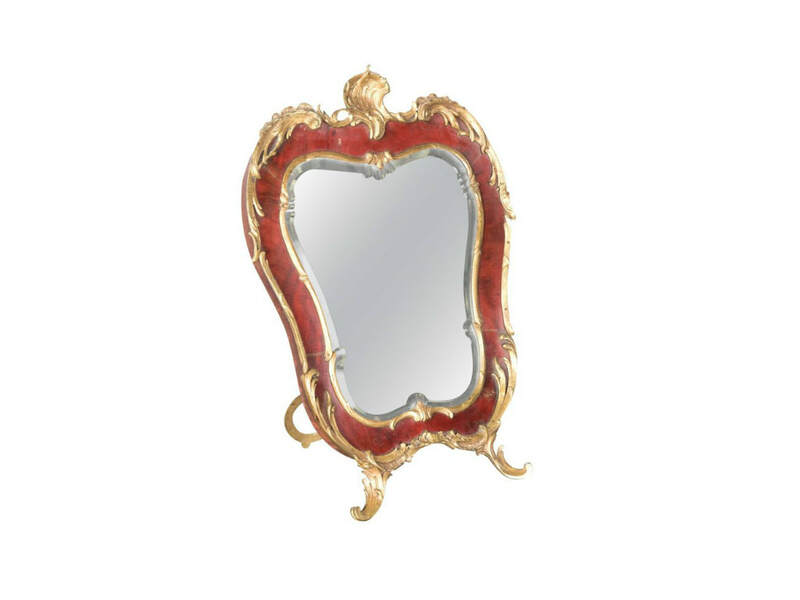 This freestanding boudoir mirror features stylized shells and acanthus leaves. Suitable for a dressing table. Stands well.